STOUGHTON, Mass. 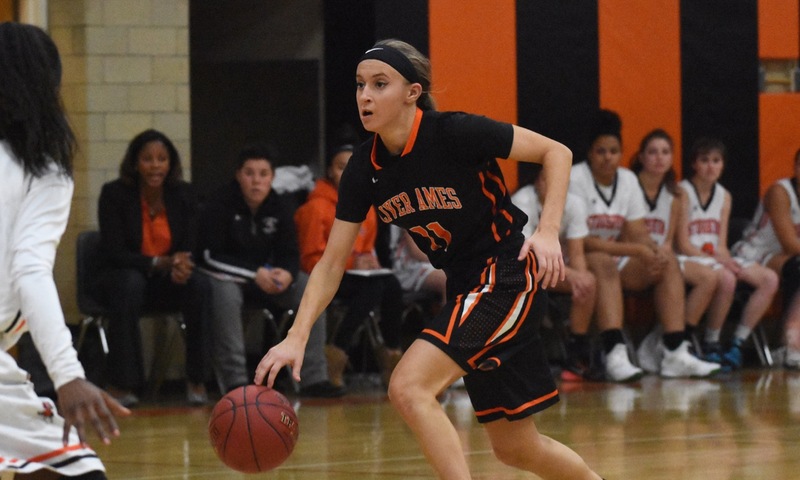 – The game kept going back and forth in the closing seconds and Stoughton got the ball back with the game tied at 50-50 and the shot clock off. The Black Knights used only a few seconds before taking a deep three. 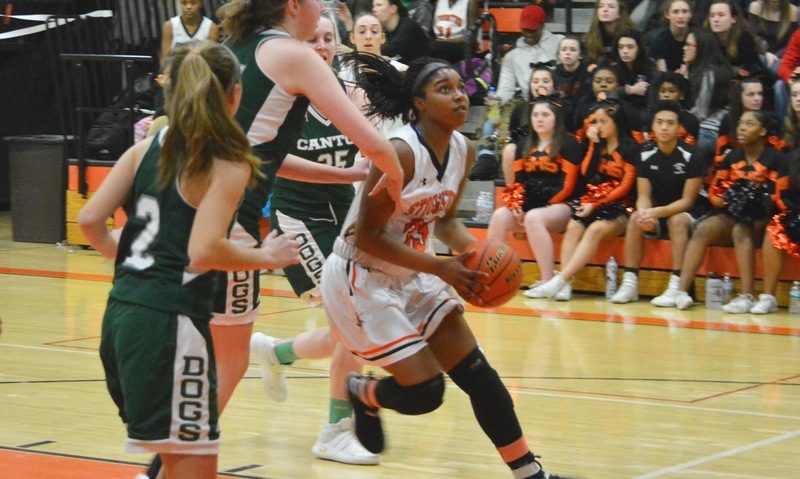 The long rebound caromed out to Sharon freshman Trinity Payne and she snagged the loose ball for the Eagles with 20 seconds remaining. Sharon coach Sandy Lombardi called a timeout and told her team to be patient and try to take the final shot of regulation. The Eagles did as they were instructed, moving the ball back and forth around the perimeter, before it got to Payne (10 points and 15 rebounds) at the free throw line. The freshman forward rose up and knocked down a jumper with only seconds on the clock. Stoughton needed to go the length of the court and couldn’t get off a shot before the whistle, as the Eagles raced to the bench to celebrate a dramatic 52-50 road win. The teams combined for five made field goals in the opening quarter. 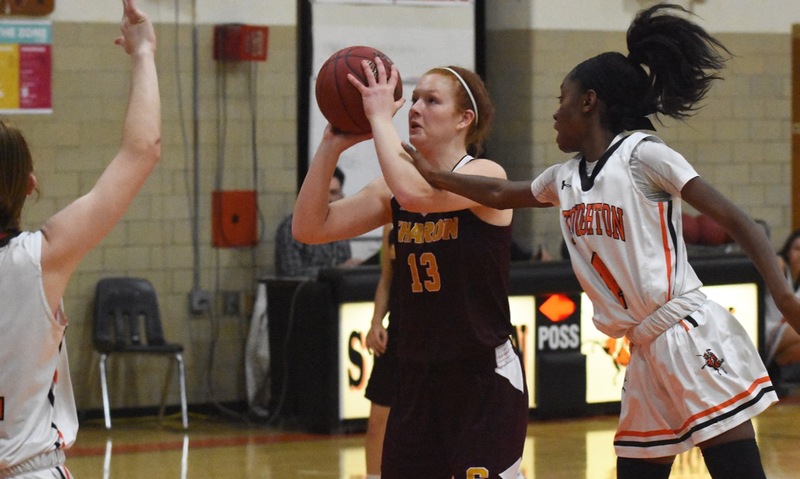 Kaitlyn Wallace (eight points and eight rebounds) buried a pair of corner threes and Emma Eberhardt (15 points and eight rebounds) had a drive to the basket. Hailey Egan drilled a three for Stoughton and Lindsay McDonald scored on an offensive rebound, but the Eagles led 10-7 after one. After getting off to a decent start, the Eagles went cold in the second quarter. 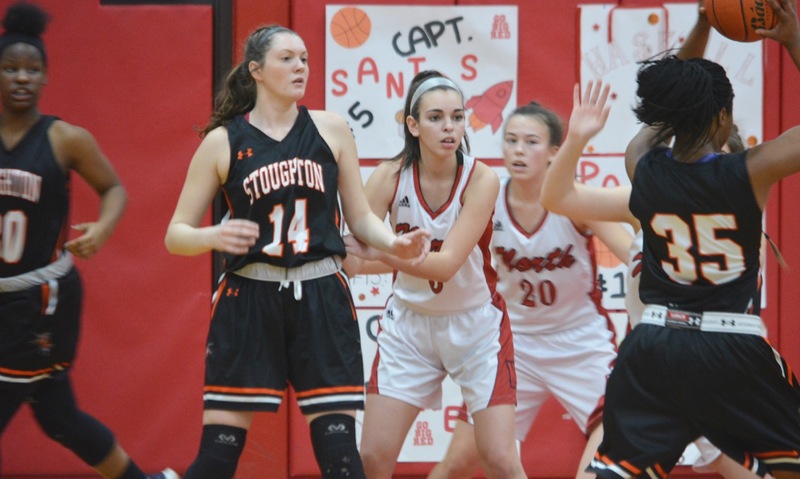 Stoughton’s zone contained the Sharon offense and didn’t allow the visitors to get to the basket. Aliyah Wright (19 points, 14 rebounds, and five blocks) scored six points and Sydnee Hyacinthe (15 points) scored seven to turn things around and send the Black Knights into halftime up 24-18. 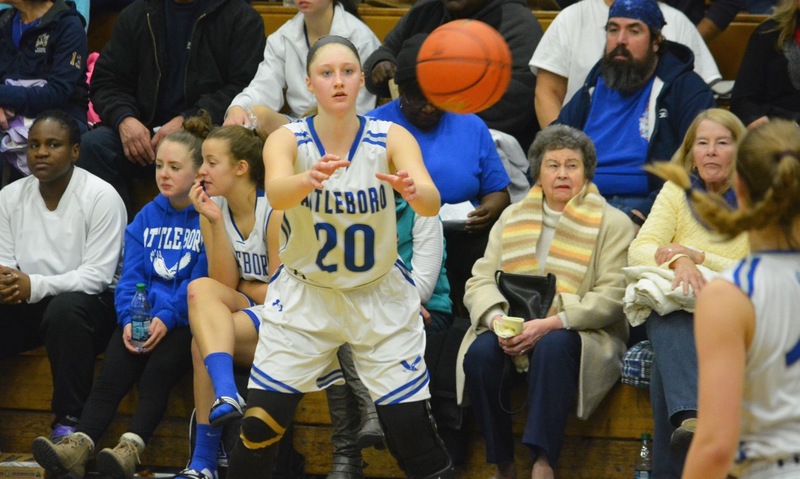 The Eagles bounced back in the third quarter to cut into the Stoughton lead. Eberhardt went 5-of-6 from the line in the quarter and Telishya Herbert scored six points. 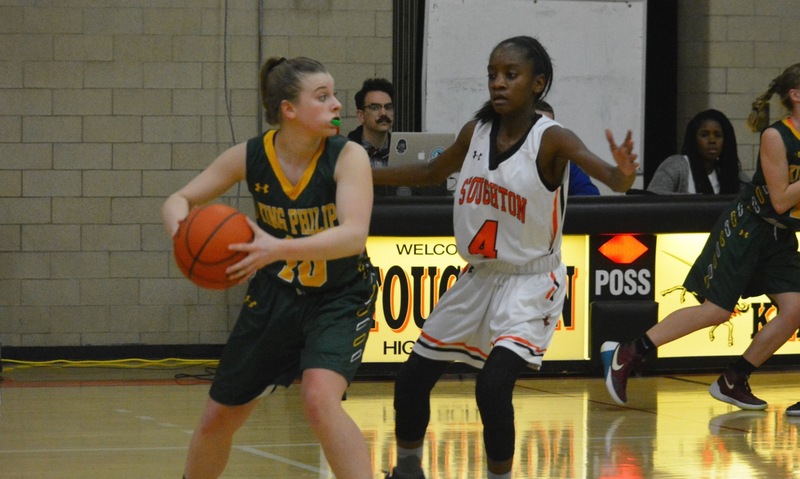 While Wright, Hyacinthe, and Shyanne Trinh (eight points) each knocked down a three, the Eagles made it a two-point game with eight minutes left. Sharon grabbed the lead early in the fourth. Ally Brown hit a pair of free throws to tie the game and then after a pair of offensive rebounds she also hit a three to make it 38-35. The lead didn’t last long. 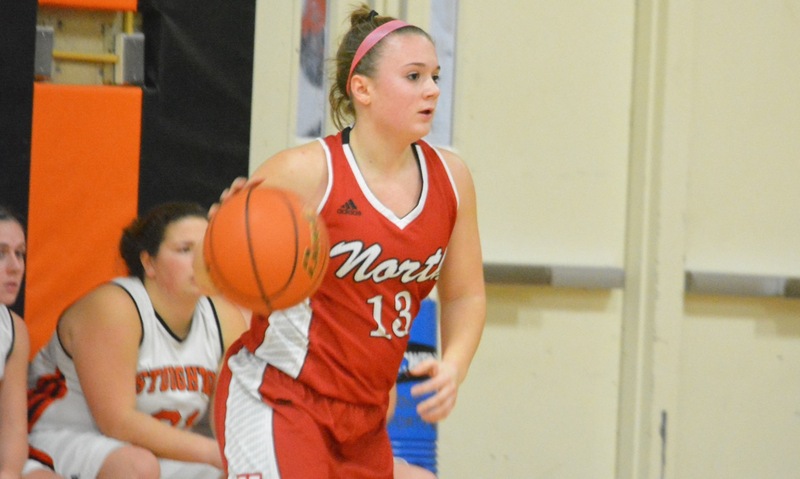 Wright drilled a three to tie the game again and then scored on a rebound to get Stoughton back in front. Herbert got to the basket off a Wallace assist, leveling the score at 40-40, but then Hyacinthe came down and drilled a pull-up three. 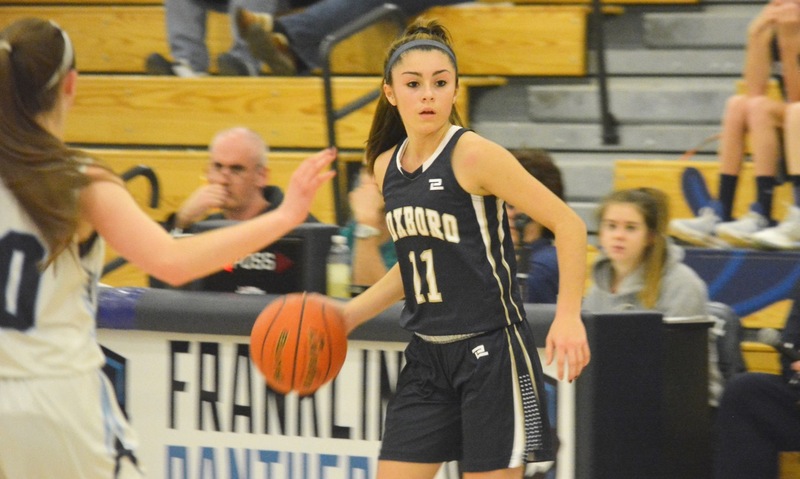 Things flipped again when Eberhardt dropped in a runner in traffic and Wallace added two at the line for a 44-43 edge. Every time that Sharon got in front, it seemed that Wright had the answer for the Black Knights. She hit another clutch three for the lead, but just as quickly Herbert (12 points and eight rebounds) scored in the paint to tie it. 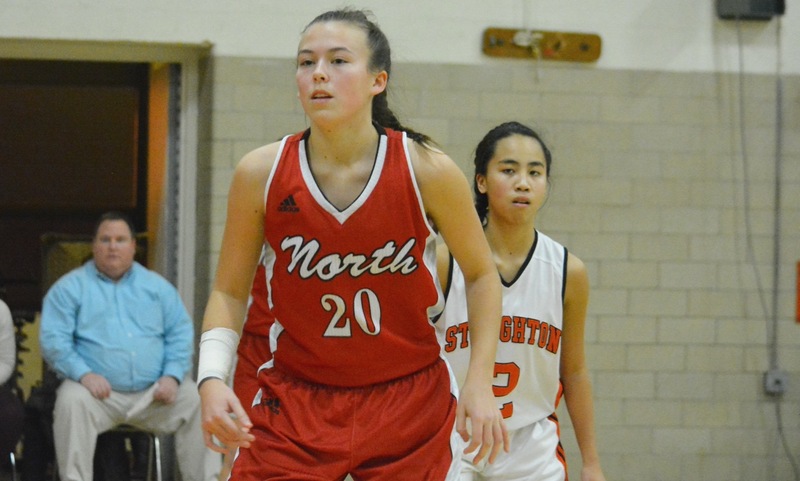 A Trinh offensive rebound and score gave Stoughton a 48-46 lead with 1:09 left. 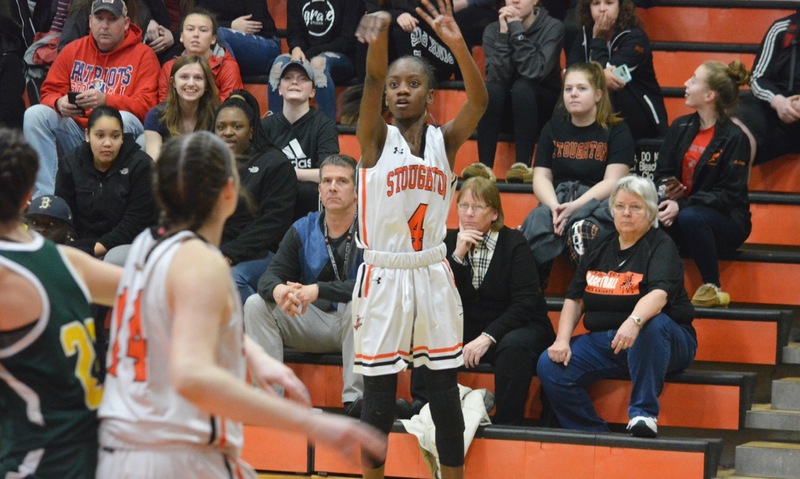 On the other end, Sharon was called for a controversial travel that gave Stoughton the chance to extend the lead to two possessions, only for Eberhardt to rip the inbounds pass away and then finish at the rim to keep the game even. Wright knocked down a pair of free throws for another two-point lead, but that was matched by Herbert, who had gone 0-for-3 at the line prior to knocking down two shots with 30 seconds left to play. The Black Knights could have held for the final shot, but the ball moved quickly and they took the open three when it was presented. It didn’t fall and Payne got the rebound. Seconds later, the freshman got the game-winner as well, keeping the . Sharon (6-8, 4-6) will face a tough challenge on Tuesday when it face Kelley-Rex leader Franklin. Stoughton (3-10, 3-7) will travel to Taunton.